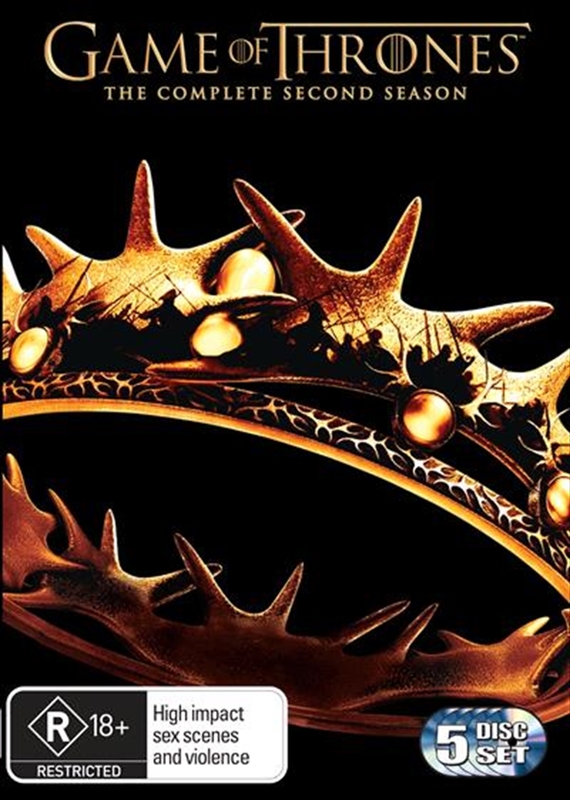 Game Of Thrones Season 2 DVD - On Sale Now With Fast Shipping! Cold winds are rising in Westeros as 5 kings battle for the Iron Throne. The Lanisters are under assault & a new leader is rising among the wildings. Winner of 6 x 2012 Emmy Awards.